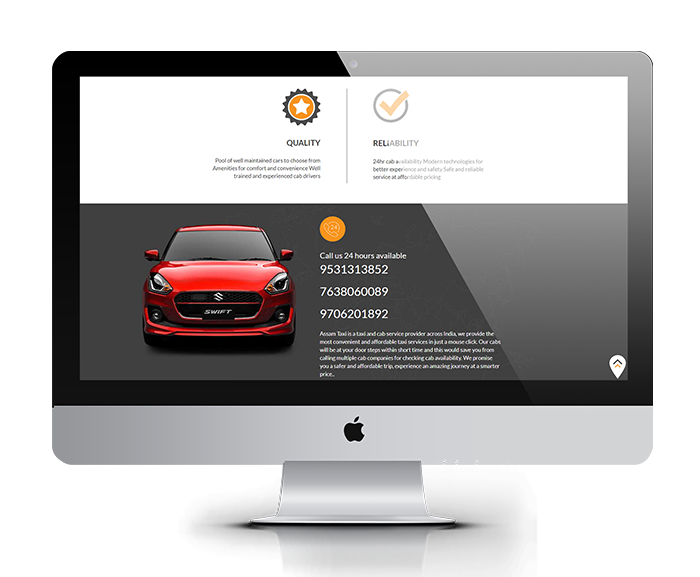 Taxi, Cab Booking, Car Rental Website Design and Development by UJUDEBUG, Software Company in Tezpur, Guwahati, Assam. Assam Taxi is a taxi and cab service provider across India, we provide the most convenient and affordable taxi services in just a mouse click. Our cabs will be at your door steps within short time and this would save you from calling multiple cab companies for checking cab availability. We promise you a safer and affordable trip, experience an amazing journey at a smarter price. AssamTaxi provides economical and effective rides across the northeastern part of india with cabs available 24x7. 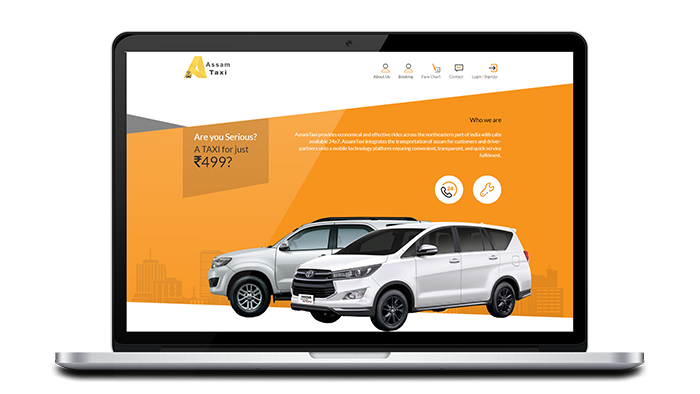 AssamTaxi integrates the transportation of assam for customers and driver-partners onto a mobile technology platform ensuring convenient, transparent, and quick service fulfilment..
NorthEast India’s quickest and most amazing and affordable way to book and track a cab is here. Beyond offering a highly personal experience for users during their rides, it also allows to build a high quality interactive and productive experience for its users. AssamTaxi is helping several drivers earn a decent and dignified liavelihood by providing them a consistent income. AssamTaxi is currently available in Tezpur and will soon be available in major cities across northeast, india. Book from our Assam Taxi website now and make the most convenient and amazing cab service in your hand, Be taxi ready always.